There were rumors that Apple will use some Samsung components for their new A7 processor which will be launched soon. Today, another rumor is letting us know that this thing is almost sure as we all know that there would not be fire without smoke. The iOS7 is the biggest clue for this rumor as the system has some files which are making reference to a new A7. A close person to Apple is saying that this new chip will contain some Samsung components which will power the display of the devices. So, we have another case when Apple is using Samsung components for its chips as the old version of A6 is already using some components manufactured by the big rival of Apple. Other sources are announcing us that Apple was ready to sign an agreement with Taiwan Semiconductor Manufacturing Company which was supposed to work at the future chips of Apple devices. It is a big chance that Samsung will give components for the A7 and the TSMC will do the same for the next generation of A8 and A9. 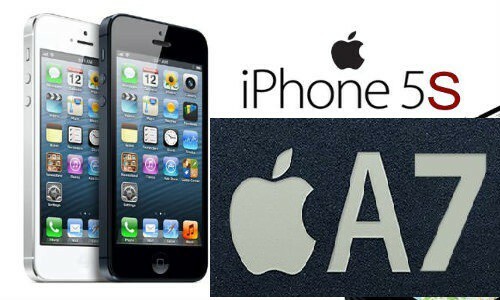 The new A7 will probably running on the iPhone 5S and the next iPads, but we don’t have any official information. Also, there are rumors that Apple will launch some versions for the iPad Mini which will be “2,8”, “2,9” and “2,10”.